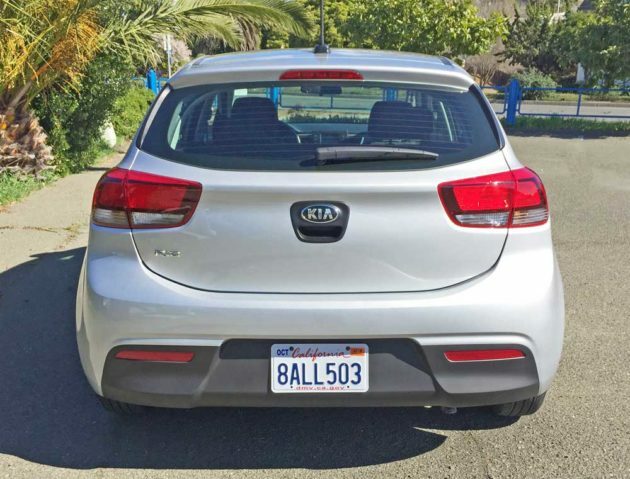 ?2018 Kia Rio LX 5-door? Kia has improved by leaps and bounds since their vehicles were first marketed here on our shores. The Korean automaker is now definitely a force to be reckoned with on all levels of their existing stable. We?ll deal here with their latest Kia Rio LX 5-Door model ? a back-to-basics ride. There are actually three levels of trim: the base LX, an S model; and the flagship EX trim level. All are longer lower and wider. What do we mean by ?Back-to-basics?? 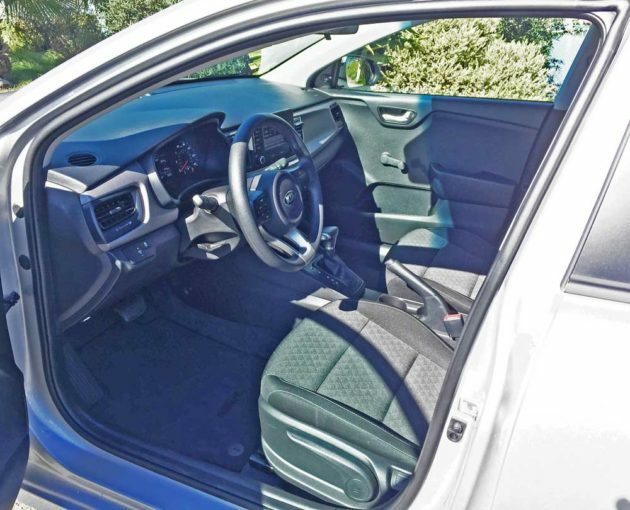 Well, when was the last time you piloted a vehicle with these features: a basic key to lock and unlock the doors, no push button start (the same key that locks and unlocks the doors is also the ignition key); no NAV system; cloth seats; roller cranks for lowering and raising the windows, manually adjustable outside mirrors (moving the mirror glass itself); steel wheels and composite (plastic) wheel covers? The truth is that you can’t get much more basic than that nowadays. 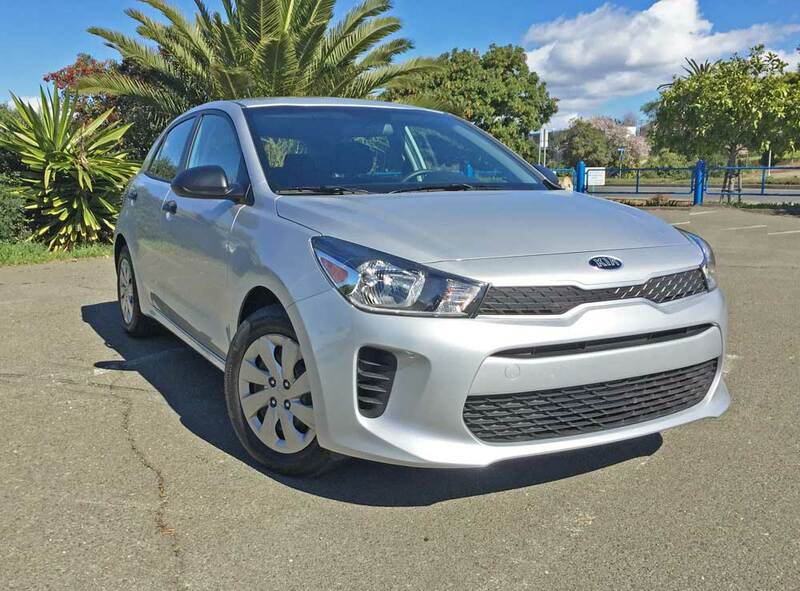 The design for the Kia Rio models, which includes both an all-new 4-door sedan and a 5-door hatchback, was originally conceived at Kia?s design studios in Irvine, Calif. The 2018 Rio 5-door and its sedan counterpart are evolutionary examples, and proudly showcasing more appealing styling than before, displaying their own versions of Kia?s signature ?Tiger-Nose? 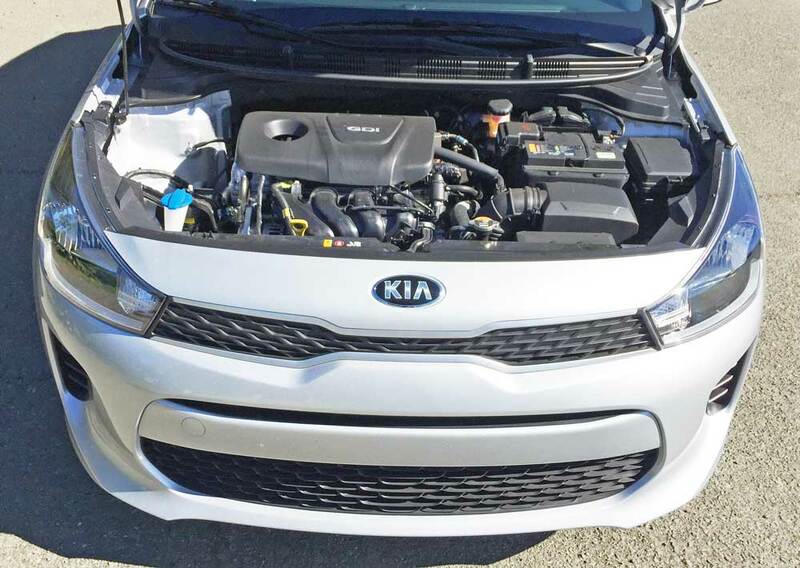 grille, that?s slimmed down to connect to the dynamic headlamp design, which provides a new angle on the Kia family image including a larger air intake, serving up a more a youthful face. Exhibiting highly sculpted, sloping shoulder lines and wedge-shaped exteriors, both the hatchback and sedan showcase attractive and athletic profiles that convey power and agility while mimicking the aggressive lines found on other Kia products such as Optima and Sportage models. 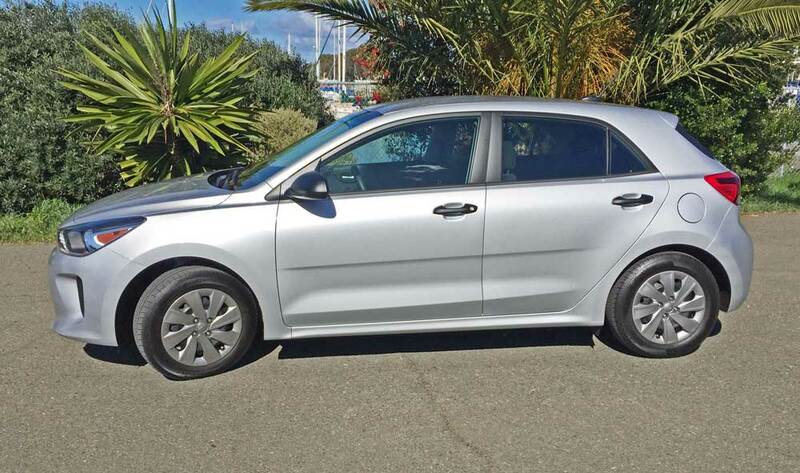 The Rio sedan drops the wedge line profile slightly toward the rear door down to the trunk, differentiating it from the outline of the hatchback. The overall aura of the new Rio delivers a slammed stance and muscular exterior profile. 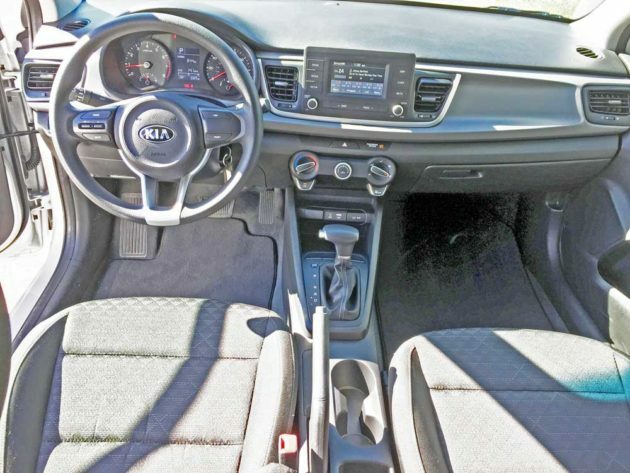 Moving into the cabin, the 2018 Rio LX 5-door delivers a bold and modern cabin, centered on Kia?s horizontal three-cylinder instrument panel and two-tone color scheme, emphasizing spaciousness and a feeling of comfort with redesigned seats. An extended wheelbase (101.6 inches) enhances passenger room and comfort, providing 38.9 inches front headroom, 37.4 inches rear headroom, 42.1 inches front legroom and 33.5 inches rear legroom. 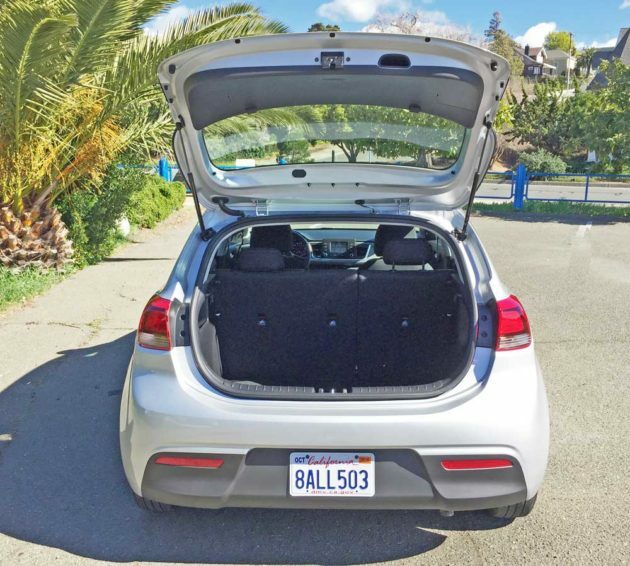 Cargo space amounts to an impressive 17.4 cubic feet. Rio allows for an earth-friendly theme, with 85 percent of its construction materials being recyclable at the end of its lifespan. In the technology field, the Rio offers a generous roster of available features including: Bluetooth? Handsfree Functionality; a six-speaker stereo with satellite radio and a rearview camera system; Available only on the top tier EX trim is a seven-inch floating touchscreen interface, UVO3 voice recognition infotainment system and smartphone integration through Android Auto? and Apple CarPlay?, all of which are not typically found in the subcompact segment. Both models and all trims are powered by a carry-over, but enhanced 1.6-liter DOHC, 16-valve, GDI, inline four-cylinder engine with CVVT and the option of either a six-speed manual transmission (LX only) or an efficient six-speed automatic with manual shift capability. The 2018 Rio provides a combination of power and fuel efficiency, achieving 130 horsepower at 6,300 rpm, along with 119 pound feet of torque at 4,850 rpm. while maintaining an estimated EPA fuel economy of – 28/37 mpg (city/highway). Rio was the first non-hybrid or non-luxury vehicle to offer Idle Stop & Go (ISG) technology. Standard safety fare on all Rio trims include: Electronic Stability Control; a four-wheel Anti-lock Brake System; Hill-start Assist Control; and Vehicle Stability Management, which coordinates the car’s ESC and ABS to help the driver stay in control of the vehicle. 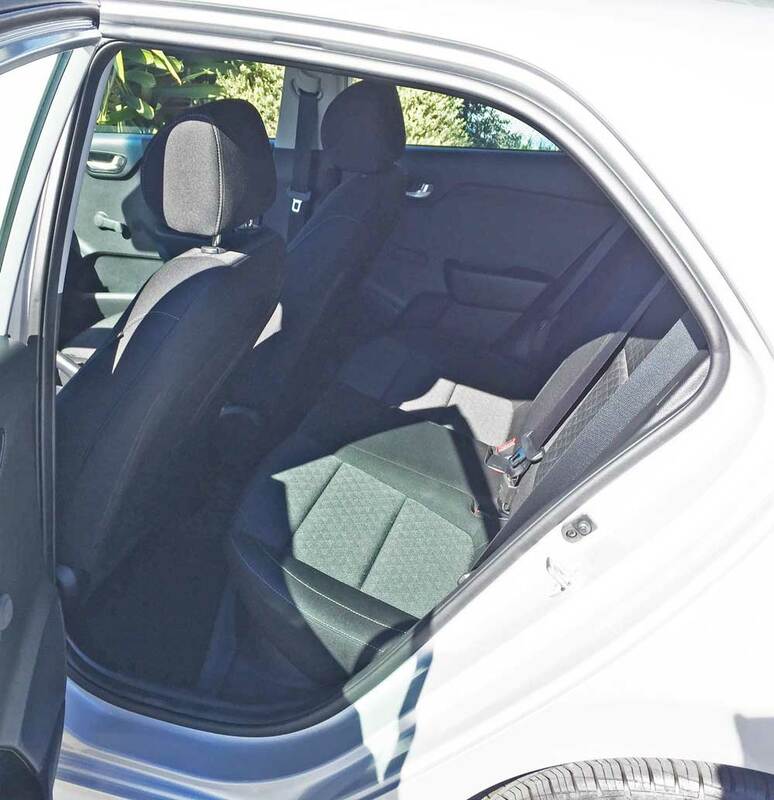 My test 2018 Kia Rio LX 5-door came with a Silver metallic exterior and a Black patterned cloth interior. The base sticker read $15,290 while the final sticker came to $18,315. after adding the carpeted floor mats and Inland Freight and Handling charge. 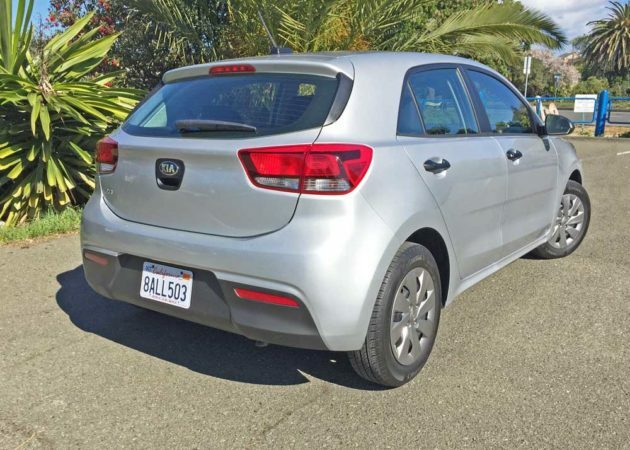 SUMMARY: The 2018 Kia Rio 5-door hatch is a sporty and attractive subcompact crossover, and I personally prefer the 5-door hatch styling over the sedan for the added versatility and functionality that it provides. Power seems adequate for virtually any scenario except racing, which is not the Rio?s intended purpose anyway. Handling characteristics lean toward sporty, displaying an athletic agility and nimble response ? translate that as FUN. The ride quality around town is perhaps a little too firm, especially on rough and uneven road surfaces, however on one of my favorite twisty back roads, this was barely noticeable and the Rio stuck like glue, and manual shifting of the automatic transmission was precise with predictable and smooth gear transitions. Bottom-line, this ?Back-to-Basics? Rio 5-door hatch is an admirable vehicle at an affordable price, with high value. The varying trim levels allow consumers to choose the model that best meets their needs and budget. 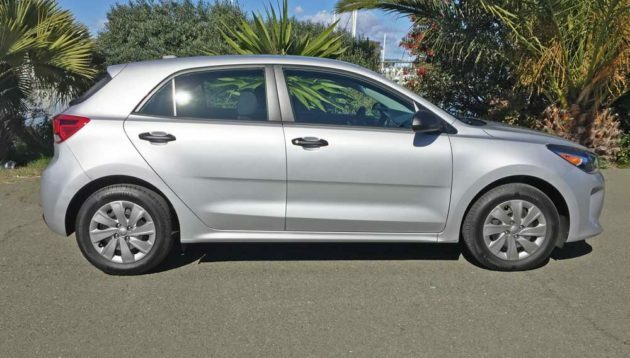 The 2018 Kia Rio 5-door is covered by Kia?s industry leading comprehensive warranty program. Included in this program are a 10-year/100,000-mile limited powertrain warranty, a five-year/60,000-mile limited basic warranty and a five-year/100,000-mile anti-perforation warranty. A five-year/60,000-mile roadside assistance plan also is part of the comprehensive vehicle coverage. Engine Type and Size: 1.6-liter, DOHC, 16-valve inline four-cylinder with Dual CVVT and Gasoline Direct Injection. Suspension: Front – MacPherson type with strut shock absorber. Rear – Coupled torsion beam axle with twin-tube shock absorber. 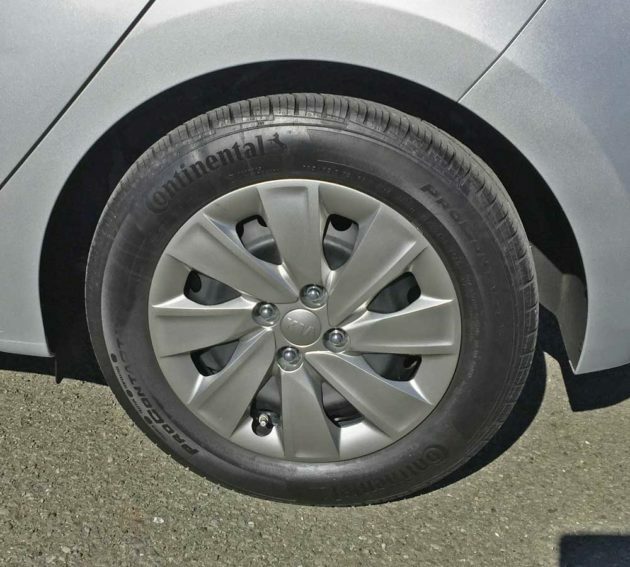 Tires: Continental ProContact TX 185/65 R15 mounted on steel wheels with 8-spoke composite wheel covers.